Strategic increase of international flights at YVR hub offers additional choice to Europe and beyond. Air Canada today announced it is further boosting international flights at its Vancouver hub next summer with daily seasonal flights from YVR to Frankfurt, and three times weekly seasonal flights from YVR to London Gatwick. Flights begin June 1, 2017 and June 8, 2017 respectively, and tickets are now available for purchase. 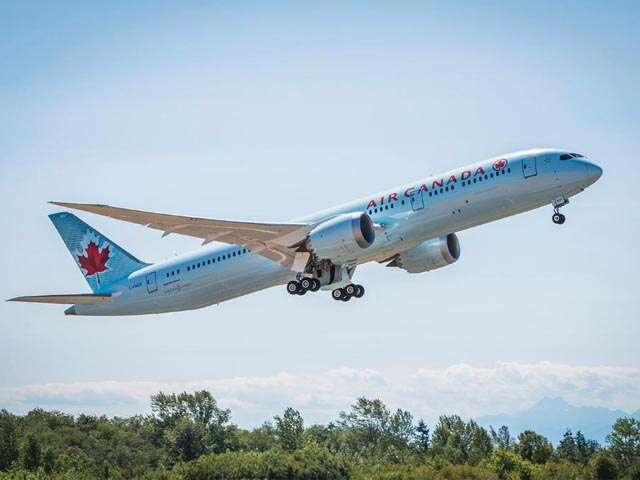 ​Air Canada's Vancouver-Frankfurt flights will be operated with Boeing 787-8 Dreamliners, featuring a choice of three cabins configured with 20 International Business Class individual lie-flat suites, 21 Premium Economy seats and 210 Economy Class seats. Air Canada's Dreamliners also feature an enhanced seatback In-Flight Entertainment system which is available at every seat throughout the aircraft. All Air Canada flights provide for Aeroplan accumulation and redemption and, for eligible customers, priority check-in, Maple Leaf Lounge access in Vancouver and in Frankfurt, priority boarding and other benefits. Air Canada's Frankfurt flights complement daily flights operated from Vancouverby Star Alliance partner Lufthansa. Next summer, Air Canada will operate to Frankfurt from five points across Canada: Vancouver, Calgary, Toronto, Montreal and Ottawa. ​Air Canada's Vancouver-London Gatwick service will be operated by Air Canada Rouge with Boeing 767-300 ER aircraft featuring premium and economy cabins. Flights are timed to optimize connectivity to and from flights within BC and the Pacific North West at Air Canada's Vancouver hub. All flights provide for Aeroplan accumulation and redemption and, for eligible customers, priority check-in, Maple Leaf Lounge access in Vancouver, priority boarding and other benefits. AC1934 ​Vancouver (YVR) London Gatwick (LGW) ​16:45 ​Tue, Thur, Sat. ​AC1935 ​London Gatwick (LGW) Vancouver (YVR) ​​12:00 ​​Tue, Thur, Sat. Next summer, Air Canada Rouge will operate to London Gatwick from two points across Canada: Vancouver and Toronto.